When you visit our Bellevue podiatry practice, you will experience a high-level of patient care. Dr. Little and his entire team are dedicated to providing you with proper treatment and diagnosis in a comfortable and professional environment. Various foot diseases& deformities and Foot Ailments. NEW PATIENTS CLICK HERE to learn about appointments & payment options as well as find answers to frequently asked questions, insurance, download patient forms & more. 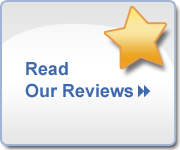 REFERRING DOCTORS - We appreciate your confidence in our office and assure you that we will continue to provide your patients with the high quality care that is expected and deserved. Click here to access our referral slips. Bellevue, NE podiatrist Dr. Jonathan Little offers a range of foot care services including: gout treatment, foot fractures, corns, and sprained ankles. Contact the Bellevue Foot and Ankle Center today to schedule your appointment.